a little kyurii a day: NEW IN! this week! hello girls! how are you? first of all, i promised meifang, my friend to give her the credits. all photography this launch is by our special guest photographer, flown in from shanghai. haha.. she is actually my secondary school mate who was working in taiwan earlier, now working in shanghai in the construction industry who has an avid interest in photography. we were shooting around the house. haa i am quite self conscious! haha... everytime there is some people walking by, we would pretend to be talking. hehe.. we discovered quite a number of nice spots. oh i like the 'Chen' family letterbox.. haa.. i also like the lace tank top. you can match with your working skirt. i like it with a pair of skinny. simple and easy. 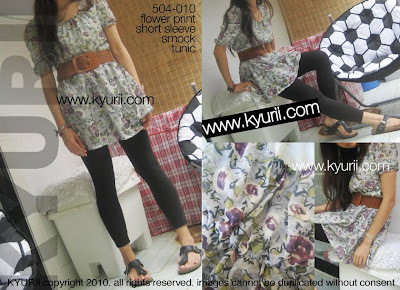 this flower print smock tunic, nice. you can put on a cropped jacket and ballerina flats. i think it will look really nice. i like its high waist. cute. 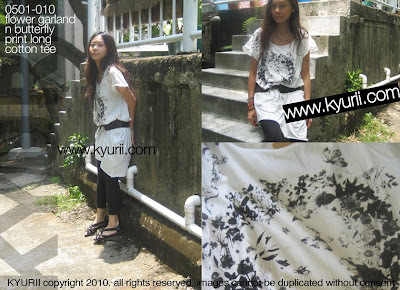 next, i like this tee! long tee. i like the prints, butterflies around a flower garland. the white with light denim skinny is also a good combination for summer! sleeping eyes print puff sleeve tee. i love it! haha... this is taken on the hike. 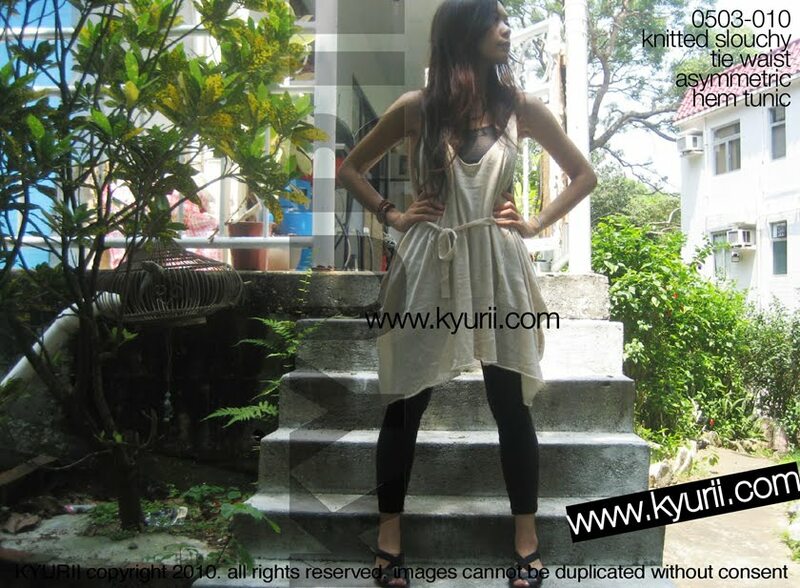 try also with faded grey skinny. i like the mauvey grey tee colour combined with the pale grey of the skinny. or what about this with a black pencil skirt? i think it can be quite cute too. something fun for work. tuck it in add on a wide belt. i really like how the sleeves look when worn. haha here is a behind-the-scene photo. share a story with you. that morning, we were greeted by a centipede!! in the house. we were so scared! its summer, and ground floor... i was already warned to be careful of them. and then i saw one crawling across the kitchen floor. length of my index finger. it looks horrible! then it re-appeared on my curtain near the ceiling, i didnt know they can climb. so me and meifang co-ordinated our moves a couple of times haha.., she with the broom and me with the slipper. she will sweep it down and i will give it a knock (to slow down its action) and then sweep into dustpan and throw it outside into the bush. we dun want to kill it. oh my gosh i even have to say a mantra before that to calm ourselves.. haha... so in this photo, i was still a little paranoid. there is a hole in the wall, and somehow the centipede came into my mind again! ah!!!! and my dear friend caught this on camera. so this is not posed ok. i was really scared at that moment. hahaha... oh after we got rid of the centipede, i put out a message to all the sentient beings that i dun wan to kill them, i wont harm them and i dun want them to harm me, so i hope we dun see each other anymore especially in this house. okok lets change the mood. here is a sweet pretty flower dress for a sunny weekend! i decide to get something blue, usually my first choice of a flower print dress would be pink or purple. but this light blue one surprised me. it makes me feel bright and cheery when i put it on. yes i like it. my favourite this week, this knitted tunic. and you like my new cheap sandals? haha... i also like it with a slouchy hip length cardigan worn over. tonite i am going for a workshop, i think i will wear this fringe cardigan. ok enjoy the day and enjoy the clothes girls! for 3 nights, i have a 3hr seminar on 'spiritual values in our modern world' by Dzongsar Rinpoche which i am really looking forward to. if anyone has read the book 'what makes you not a buddhist', well, he is the author of the book. i hope to get his autograph. haha.. he is also a film director of 'The Cup' ( a movie about little monks and soccer). ok girls, talk soon. 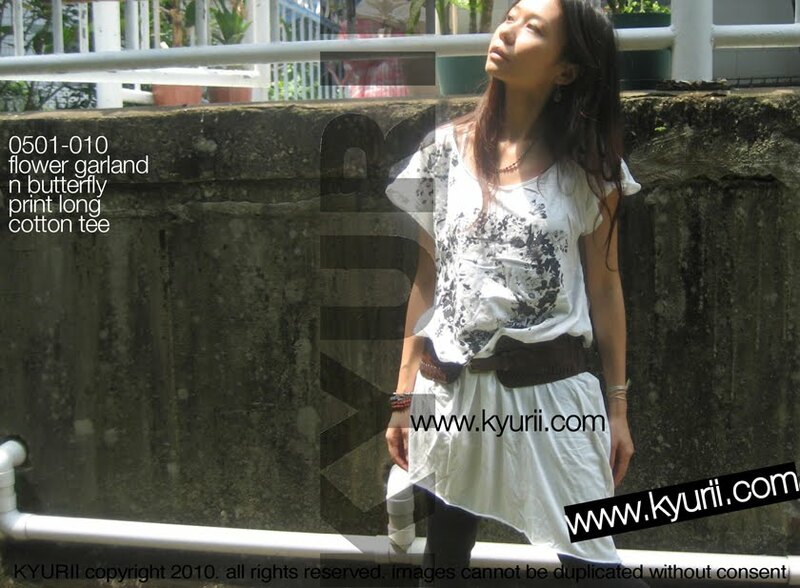 you can find all the NEW ITEMS at www.kyurii.com now. love to all, kiss kiss. yes, if i see something really nice, we will bring it in! at this moment, i havent seen one i like. but we are always on a lookout. thank you for your comment. have a nice day! NEW IN preview! up this wednesday!